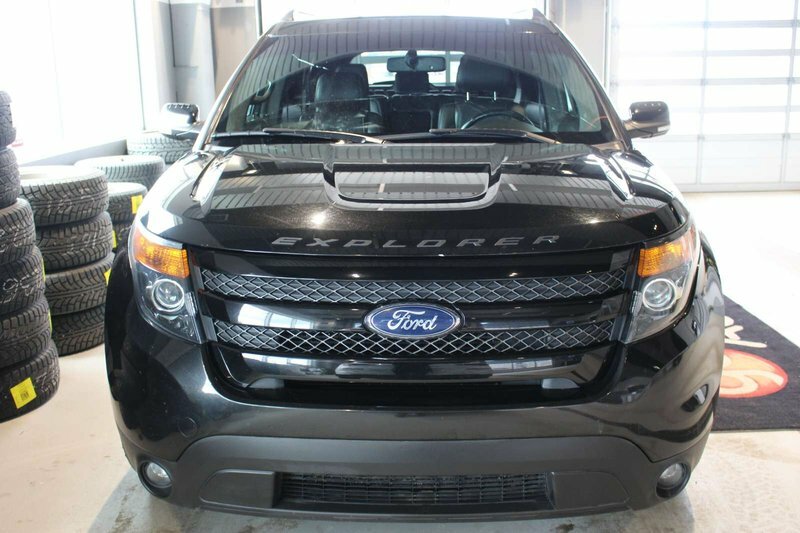 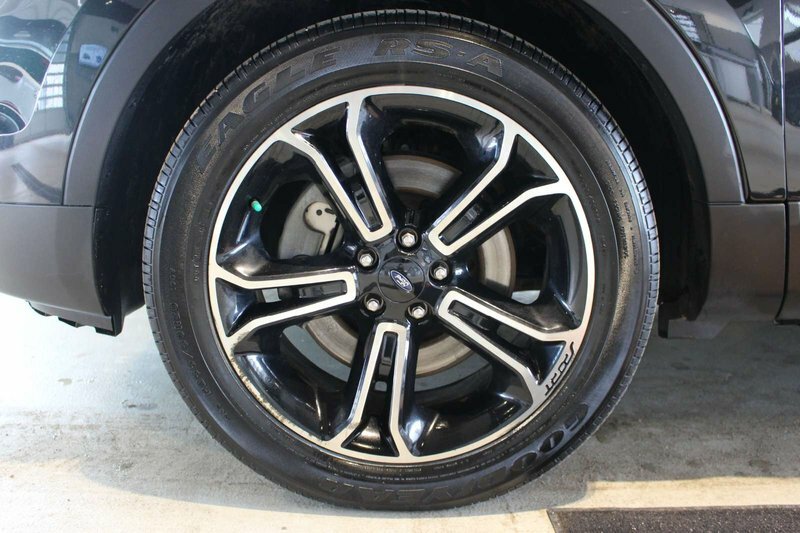 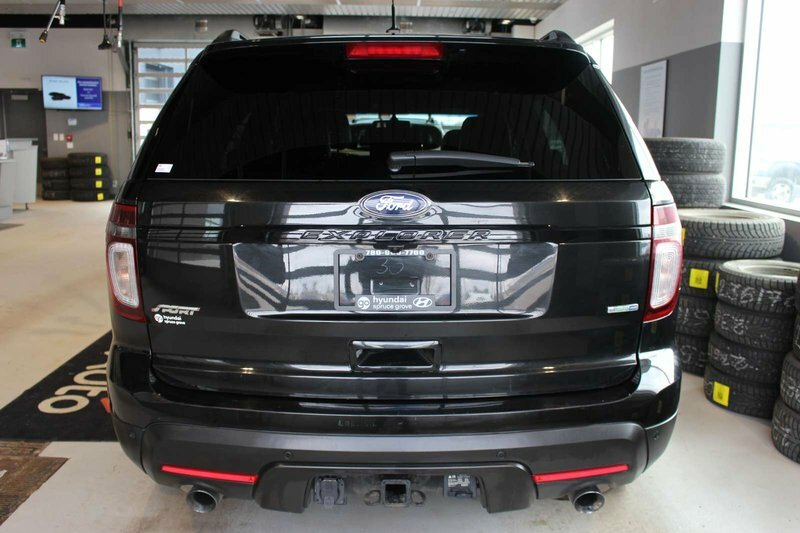 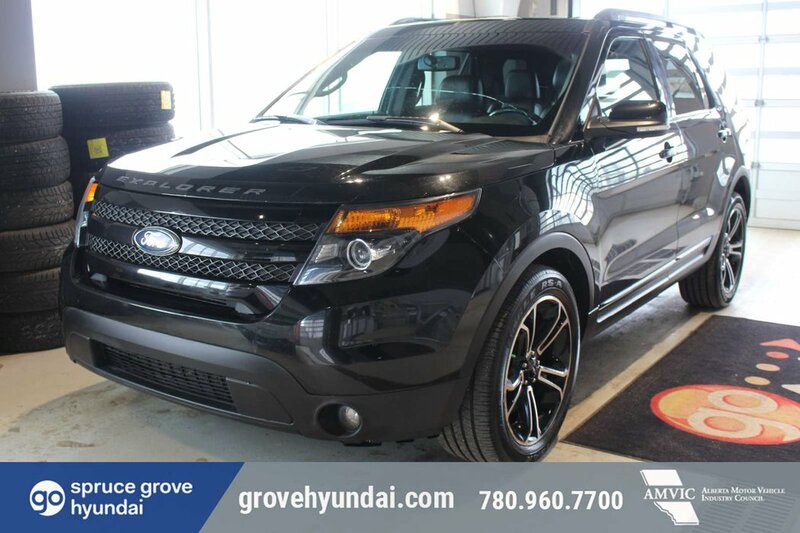 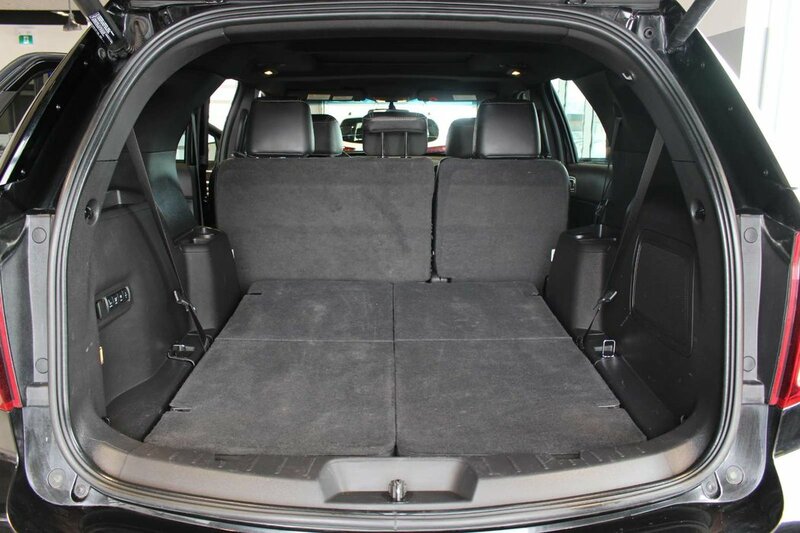 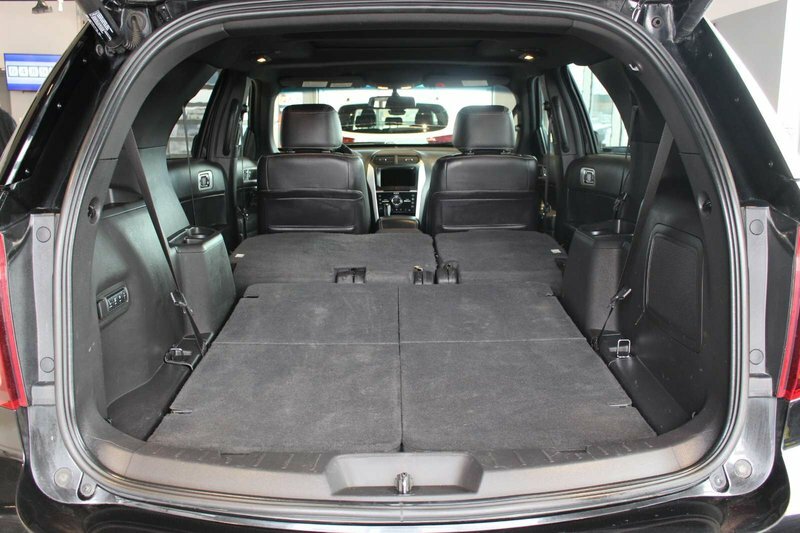 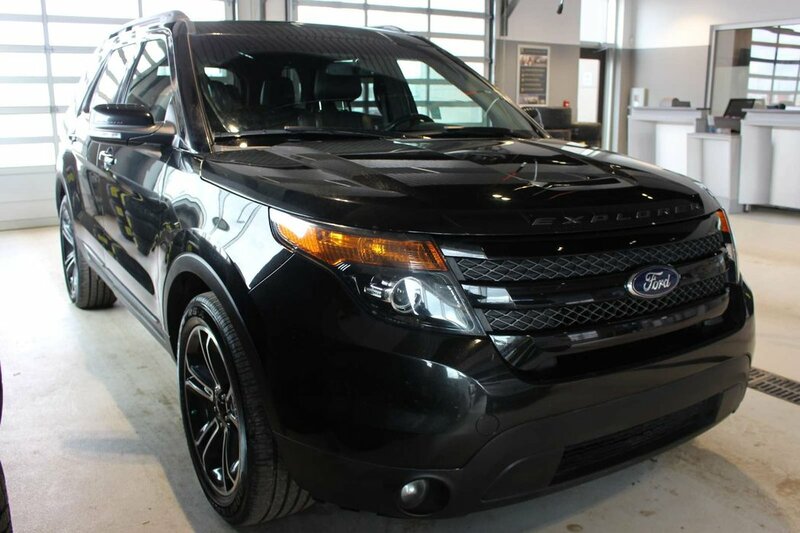 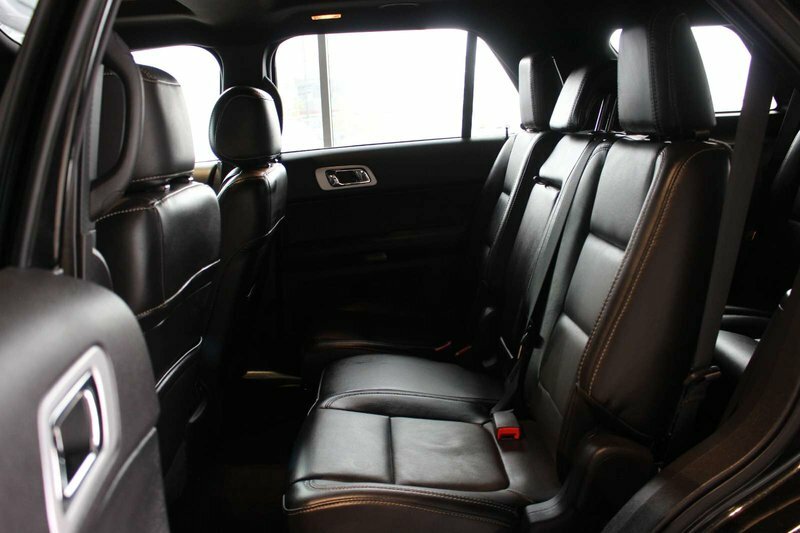 Athleticism meets luxury in our 2015 Ford Explorer Sport 4WD decked out in striking Tuxedo Black. 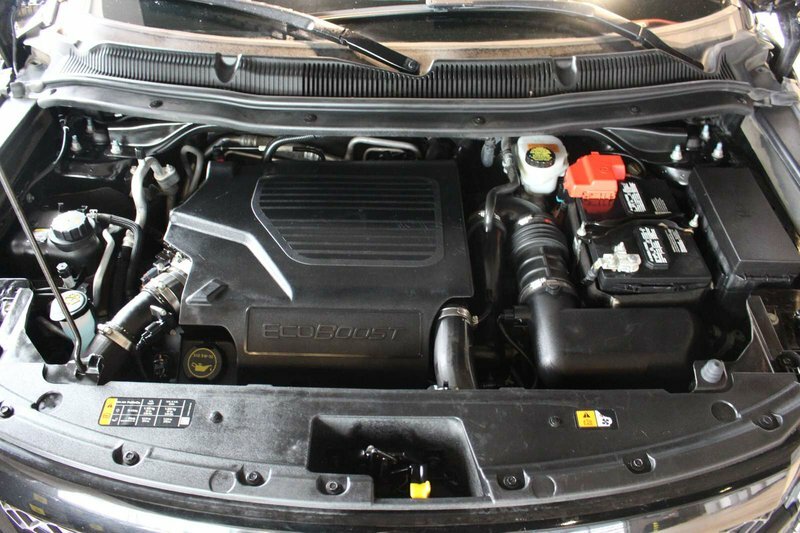 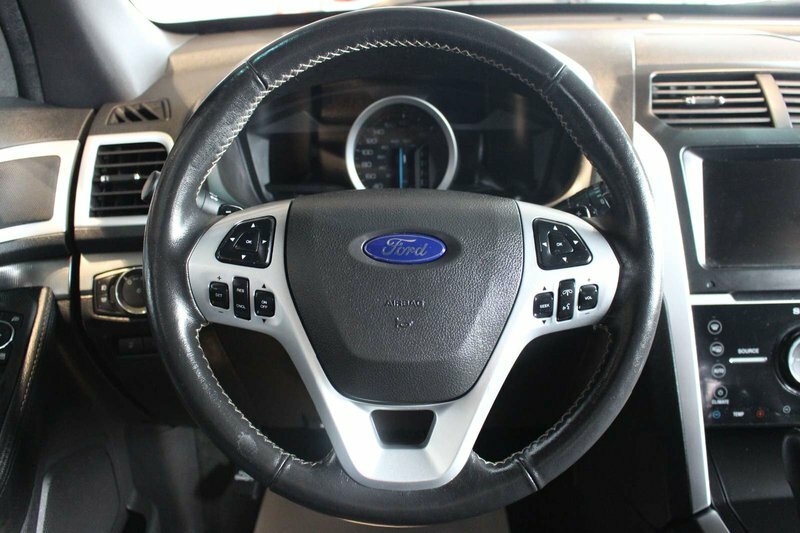 Powered by a TurboCharged 3.5 Litre EcoBoost V6 that offers 350hp on demand while tethered to a smooth-shifting 6 Speed Selectshift Automatic transmission for easy passing. 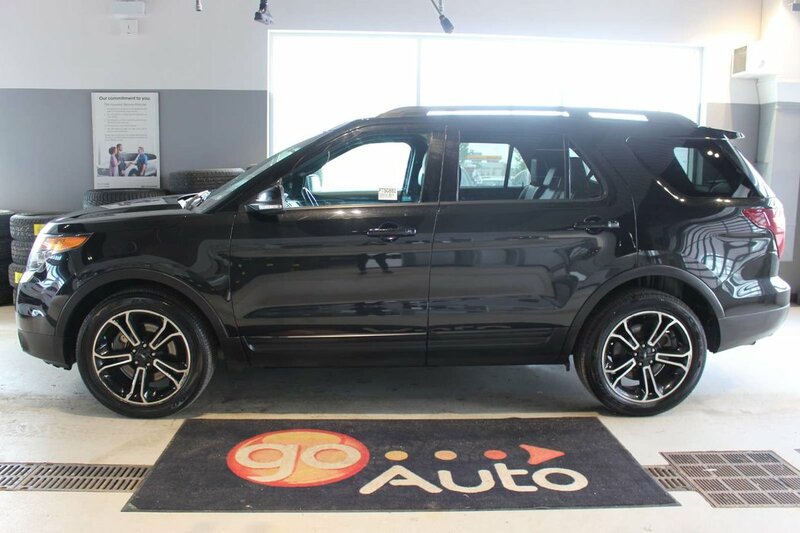 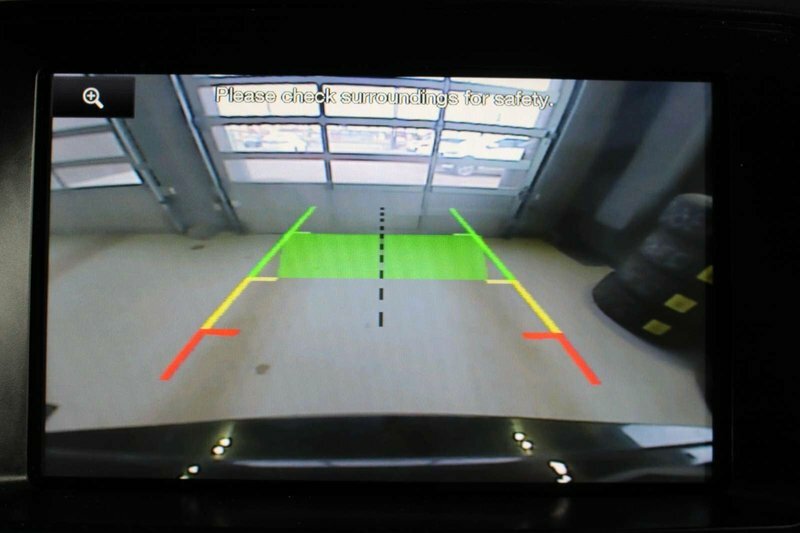 This Four Wheel Drive will help you secure near 10.7 L/100km on the open road along with precise steering, and impressive handling will have you looking for reasons to get out and drive; and when road conditions are less than ideal, you will be prepared. 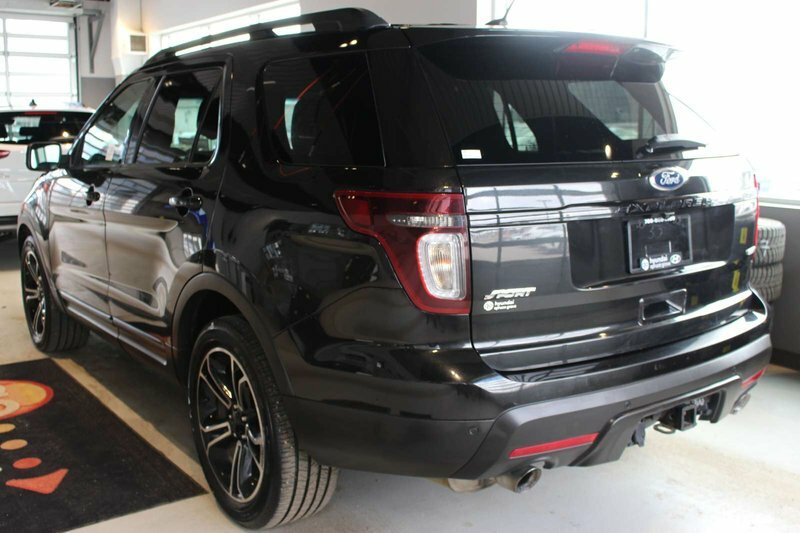 The bold design of the Sport turns heads at every corner with unique chrome accents, streamlined body colored molding and an overall alluring style. 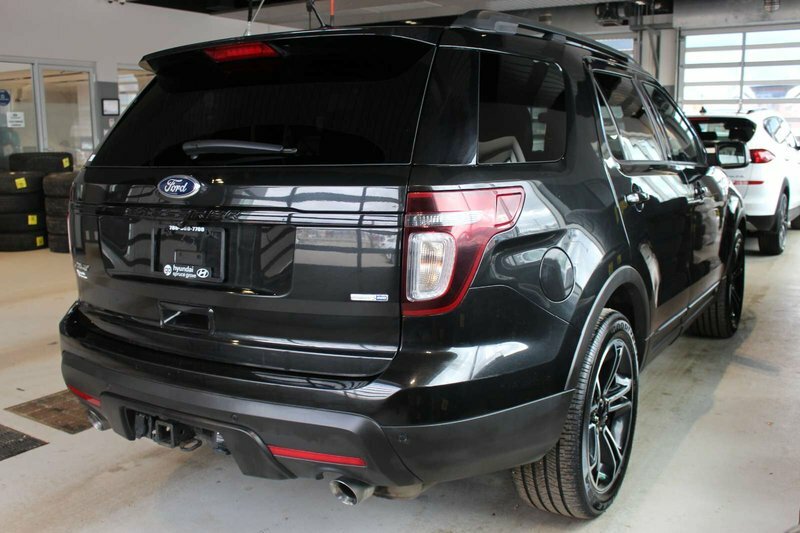 Projector beam headlights and LED taillights set the stage while prominent alloy wheels, roof rails, and a huge sunroof enhance the view. 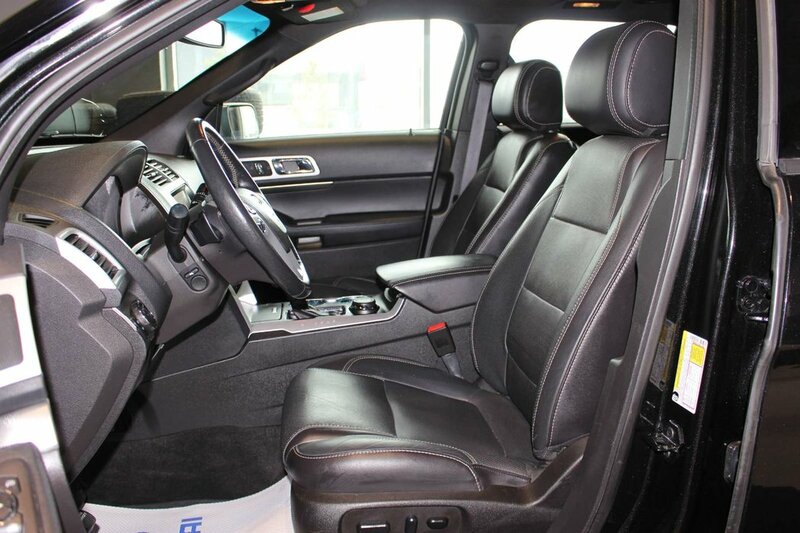 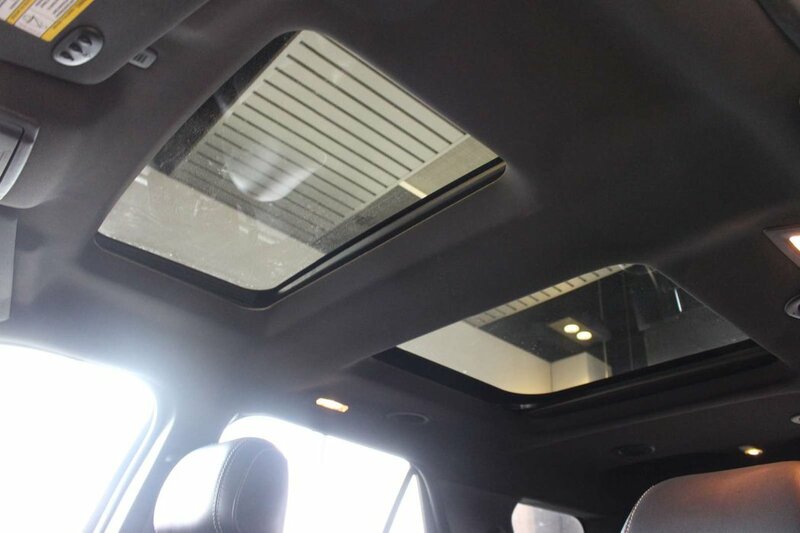 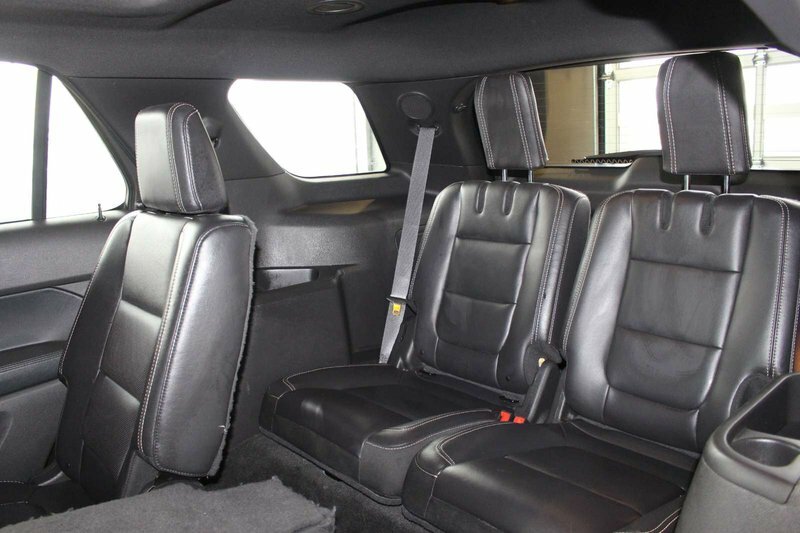 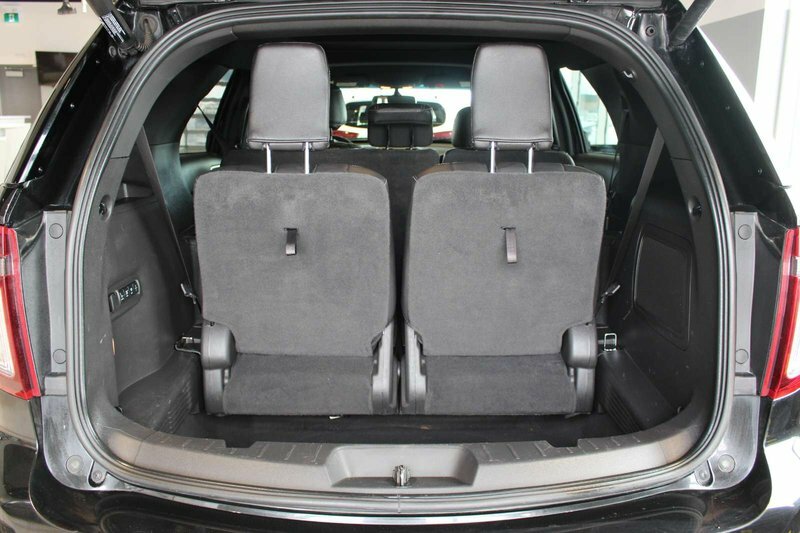 Look inside our Sport and see leather seats and premium features everywhere. 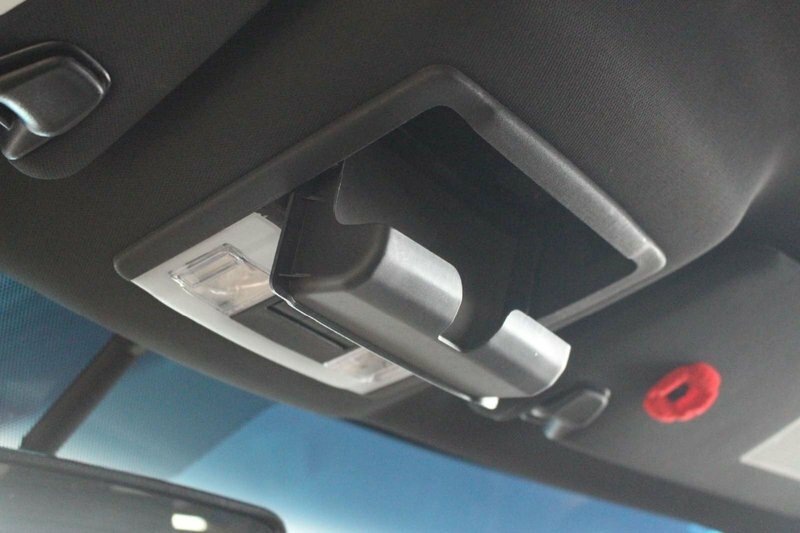 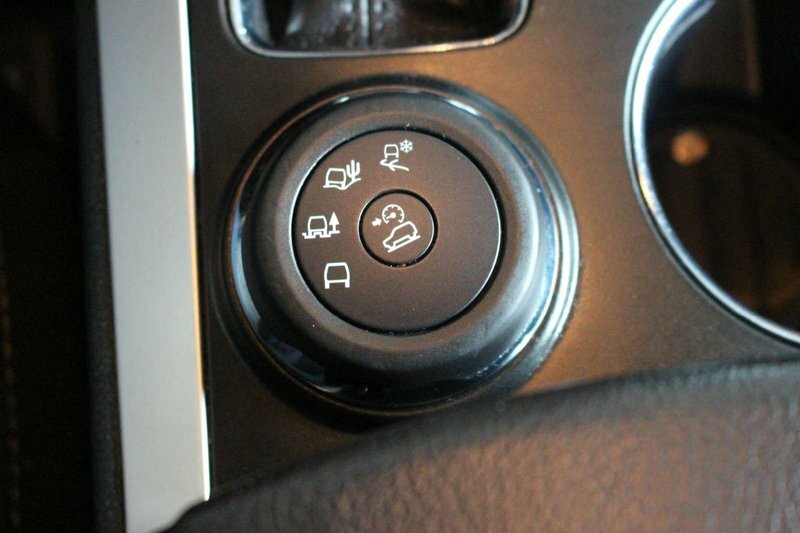 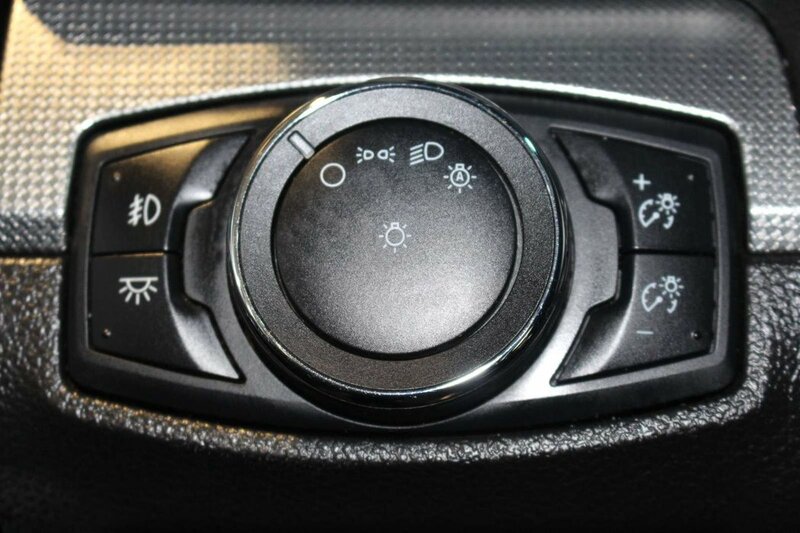 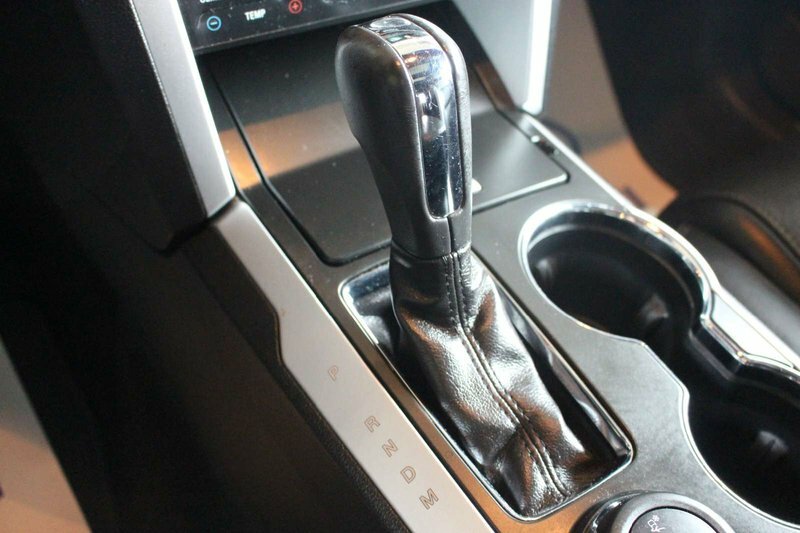 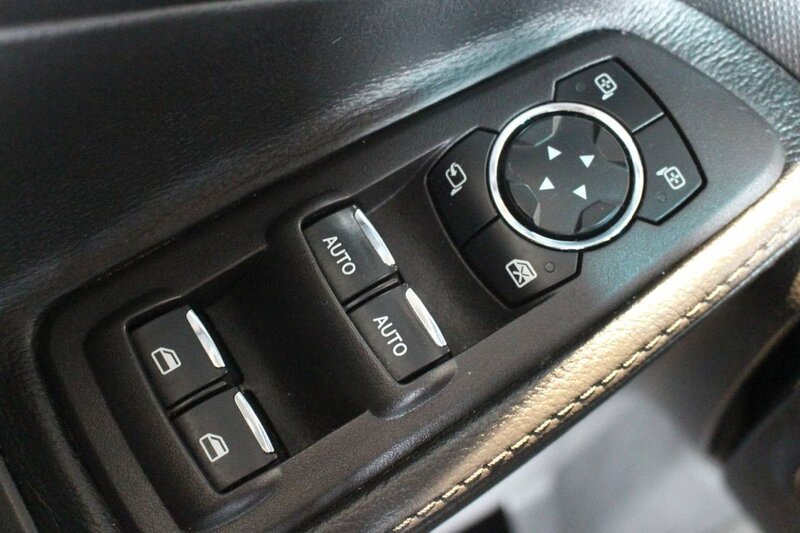 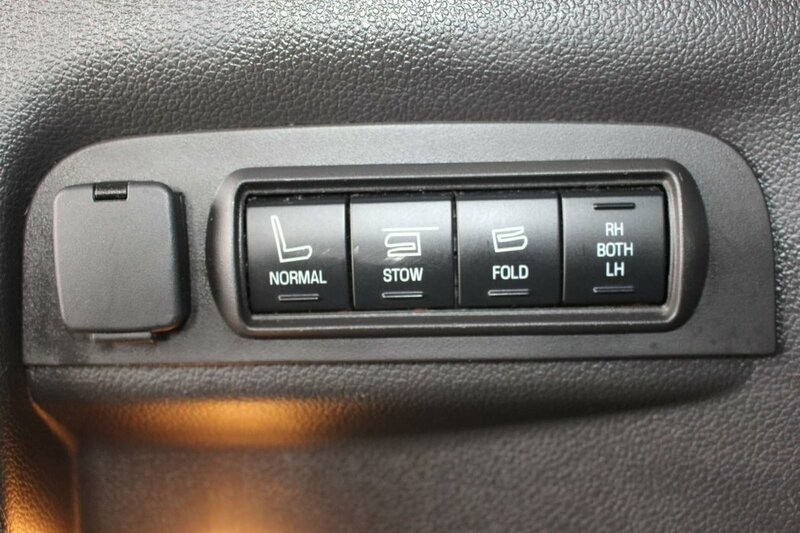 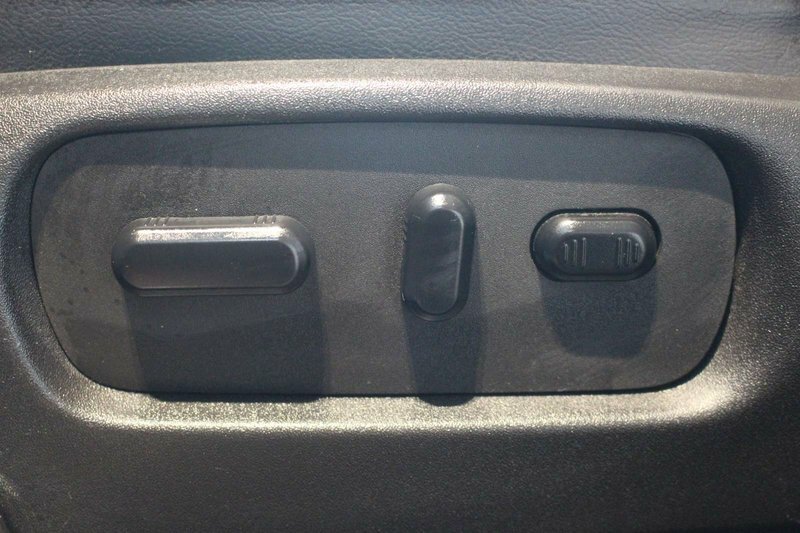 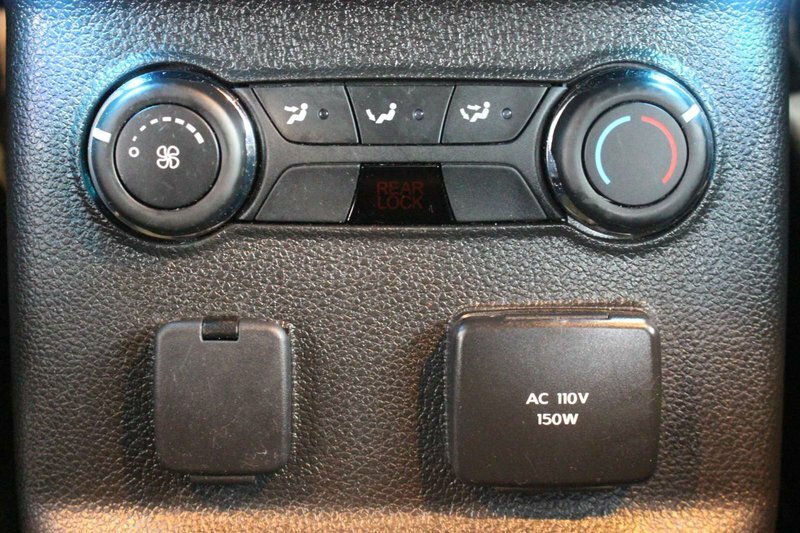 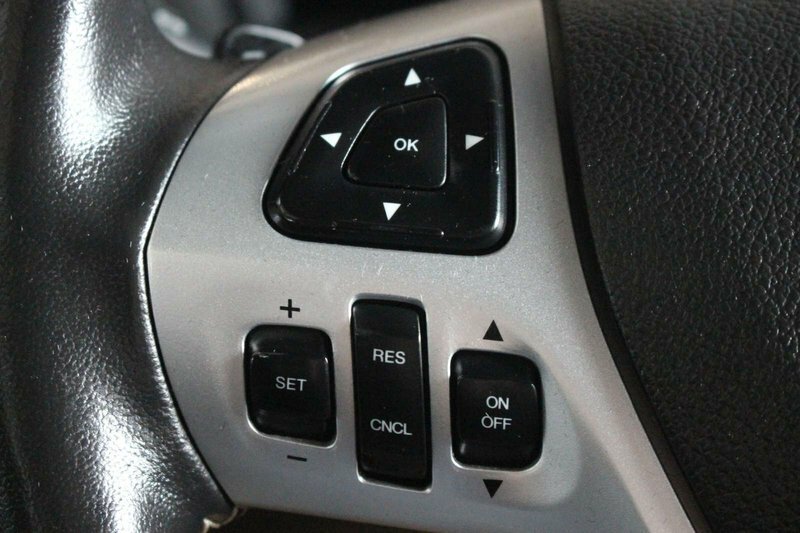 A heated steering wheel, heated and cooled front seats and full power accessories add to the comfort and convenience. 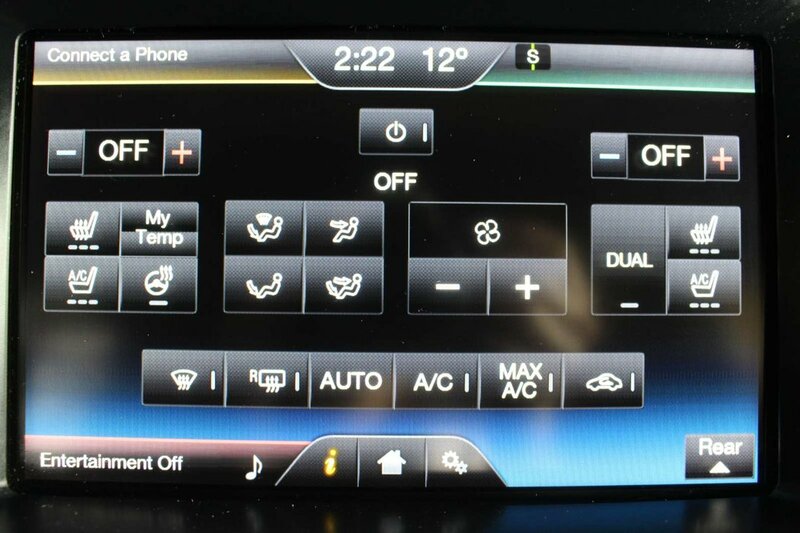 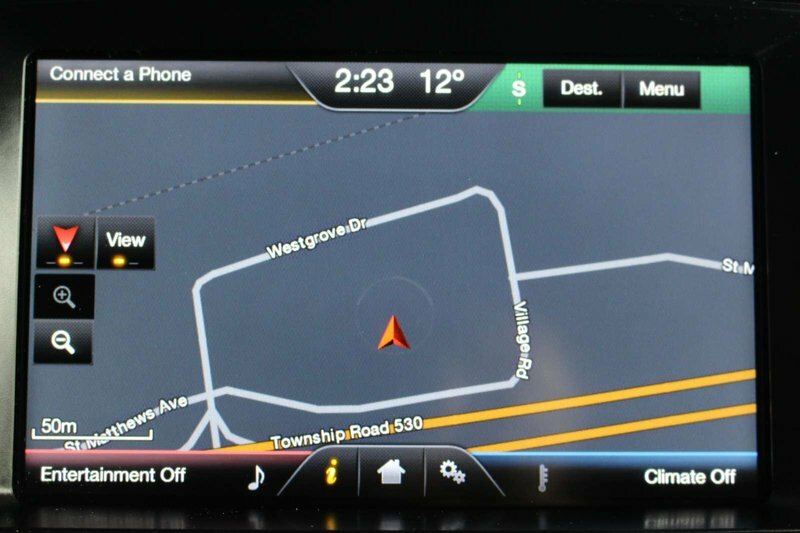 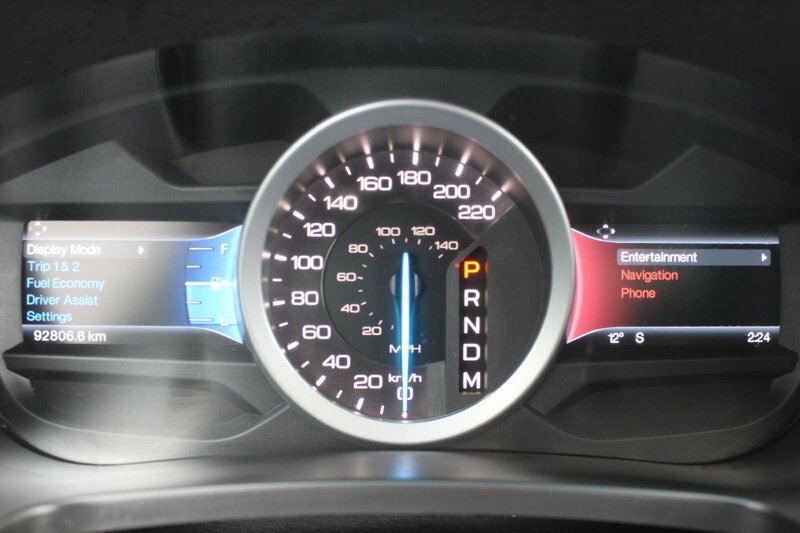 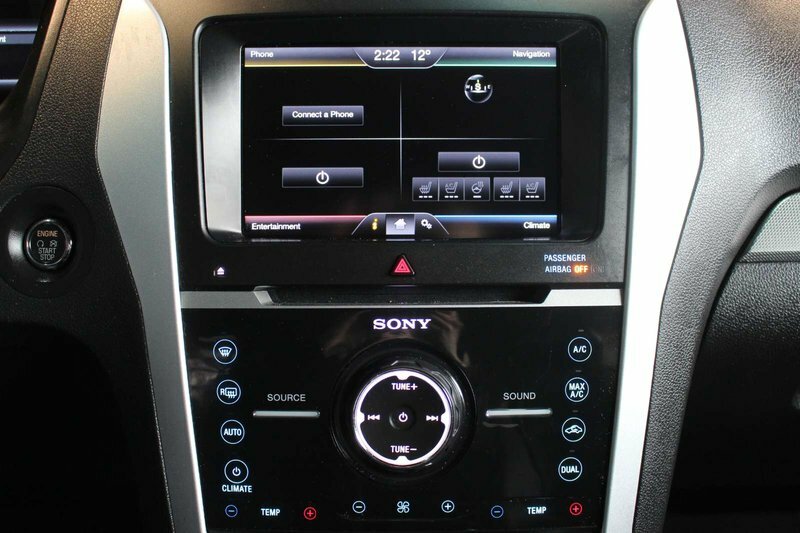 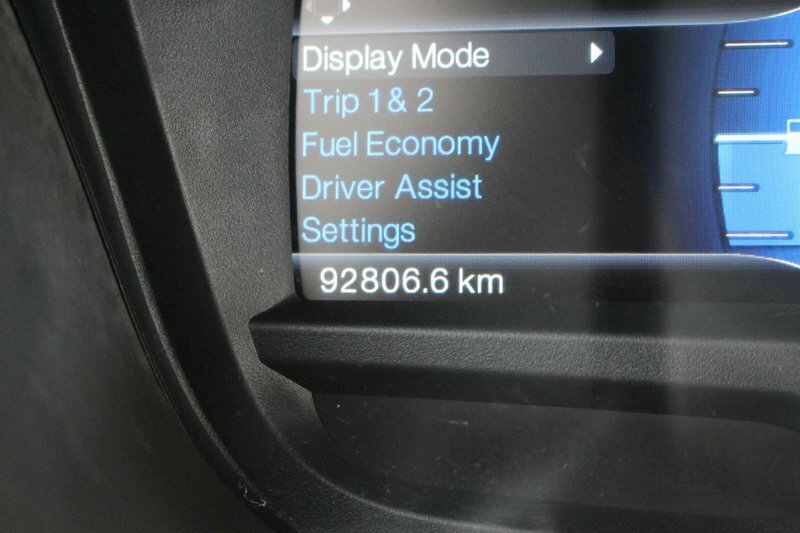 MyFord Touch with Sony Audio offers full-color navigation, the latest news, weather, and tunes with media hub. 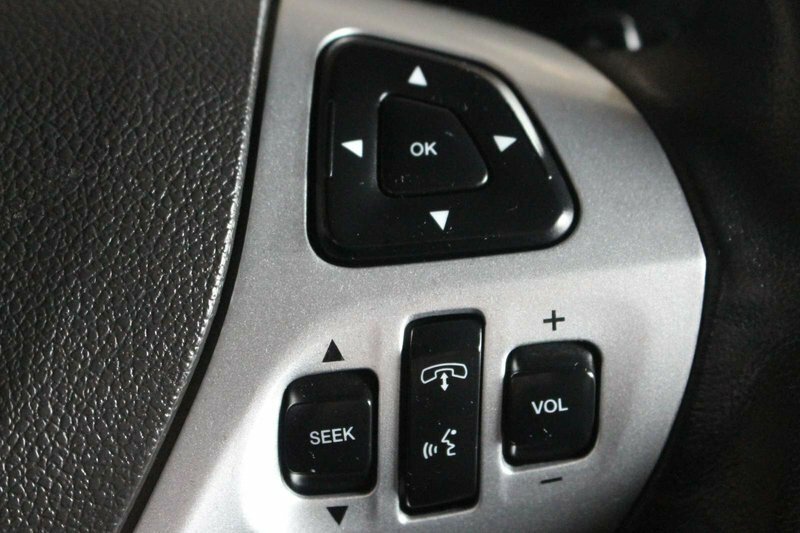 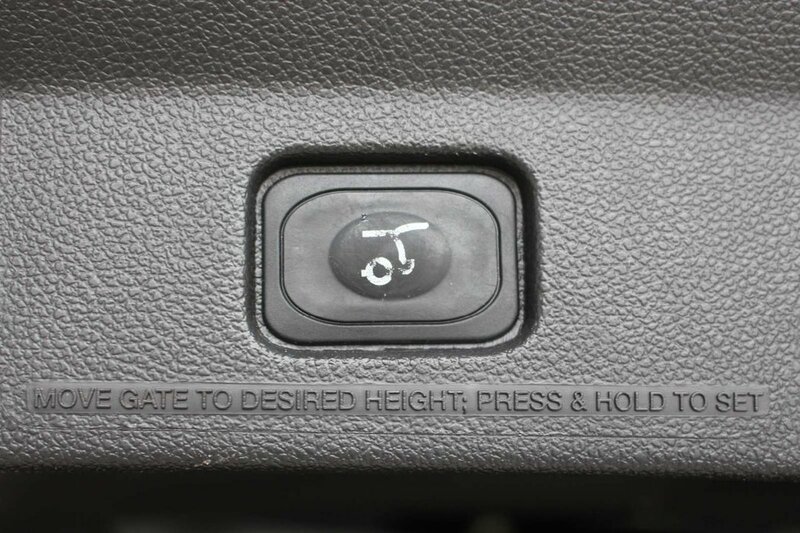 You'll have plenty of power points to keep everyone in the family plugged in and rear climate control to keep the passengers happy!